It takes an extraordinary kind of person to be a nurse – to work tirelessly day in and day out, constantly giving to others. With a nurse’s work never done, it is amazing how these remarkable people find time to work so endlessly yet still support their families and arrive at work with a smile on their faces. For years, Ferntree Gully midwives and nurses Vicki, Sally-anne, Michelle and Nicolle have balanced working night-shifts with the duties that come with being called mum. Vicki, mother of 3, has 17 years experience as an aged-care nurse, while twin sisters Michelle and Nicolle, both mothers of 2, are advocates of natural birth through their practice In Harmony, through which they run birthing classes in Ferntree Gully and its surrounds. It’s rather incredible, then, to hear that the group is banding together to train for a two day, 100 km walk raising money for Oxfam. Being accepted in October for the walk meant training could commence, and a name for the team could be chosen. Together, the girls have formed Team ‘In Harmony’, not only named after Michelle and Nicolle’s practice, but also symbolising being ‘in harmony’ with nature, and one’s own health, body and soul. With their ages ranging from 30 to 50, the girls decided that taking part in the walk would be a great way to improve their fitness, and they look forward to rising to the challenge. 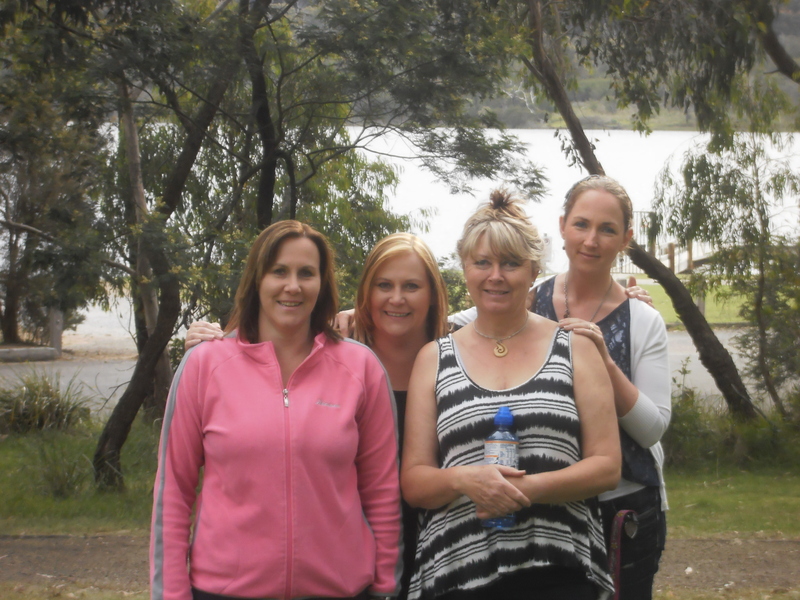 In preparation for the walk, which takes place April next year, the women have been going on walks around Lysterfield Lake, from Belgrave to Grants Picnic Ground in the Dandenongs, and up the hills around Puffing Billy Station. The idea has been to improve endurance as well as fitness- important, as the Oxfam Melbourne trail has now been extended to also include the Dandenong Ranges National Park’s 1000 Steps. Starting at Jells Park in Wheelers Hill, the trail travels through the Corhanwarrabul Wetlands, Churchill National Park, and Lysterfield Park into the Dandenong Ranges National Park. From there it continues onto the Warburton Trail, before going up a few steep hills to finish in Wesburn. The walk will include plenty of rest stops over the 48 hour period. With their training under-way, the girls are now calling on the community for its support in their aim to raise $1000 for Oxfam. They are also looking for sponsors to help them reach this target. Planned fundraisers include community sausage sizzles, morning teas, and a raffle. So keep your eyes peeled, and stay tuned! Find out more, or make donations, at the team’s Oxfam Trailwalker 2013 website. You can also read more about In Harmony Calmbirth at their website. Article also appears in Gully News, December 2012 edition.